As this is a new program we should first set its location by choosing File - Save. It is highly recommended to save each project in its own folder. Create a new folder: "Example", open the folder and save the program as "First Program". Each Android application is identified by a unique package string. This is a string built of several parts separated with periods. The string should include at least two parts. You cannot install two applications with the same package on one device. 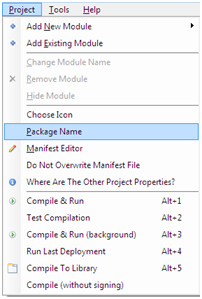 Note that you can always change the package name (and the label) under tools menu. - Enter a package name. Next you will be asked to enter the application "label". This is the application name that the user will see. Click on the Button as shown below. 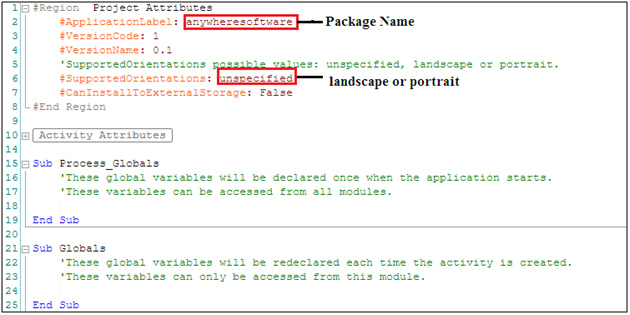 Enter a package name in ApplicationLabel as shown below. This is the application name that the user will see. The emulator is significantly slower than a real device. In many cases it is more convenient to work with a real device as the installation is much faster. Note that you can always redeploy your program. 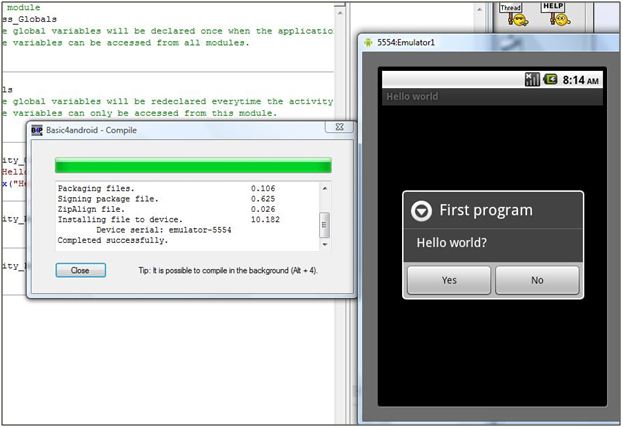 There is no need to close the running program on the emulator.